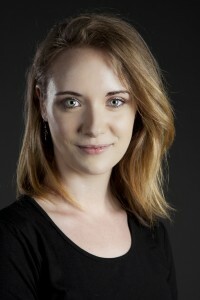 JEM NICHOLAS began her journey as an actor at 16th Street Studio three years ago, and is currently exploring character and sensory work through at the Melbourne Actors Lab as well as actively pursuing dancing and singing. Recent stage credits include Rose in Love, Love, Love at Red Stitch Theatre for which she has been nominated for Green Room Award; Saffi in The Binding at Owl and Cat Theatre; Puppeteer in Buckets List for Melbourne and New Zealand fringe festival; lead female role in the touring production My Friends Dot Com with Echelon Productions; Wendla in Spring Awakening at M.U.S.T; Puppeteer in The Pillowman with Grey Matters; and ensemble member in Eurobeat – Almost Eurovision, Glynn Nicholas Group. Jem has also trained with some extraordinary teachers, including Kim Farrant (director of Strangerland and Between Me) and Carl Ford, who she will train with further in New York later this year.